" The story with a grumpy old cat "
" Babel is a grumpy old cat and not very bright at all! "… So begins the fantastic story of a cat that develops a pathological jealousy of the clouds and who spends his days annoying them. 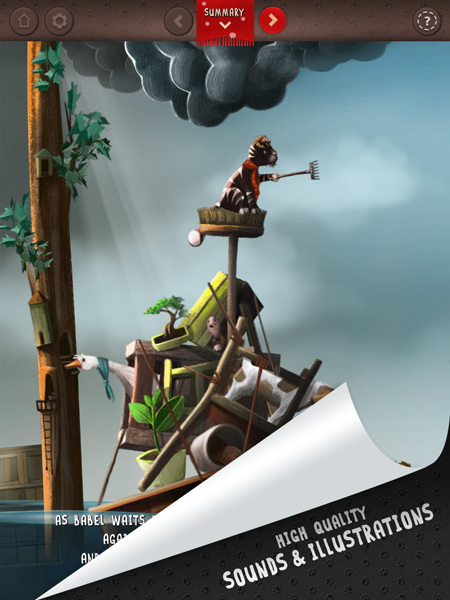 Fascinating and entertaining story, Babel is a book specially developed for a very young audience from 2 to 8 years old. The elaborate and colorful universe and the numerous interactions will allow the children to interact with the characters in a unique way. Discover another aspect of story-telling by following Babel in a captivating adventure that will perhaps make him the king he always wanted to be. Karim Maaloul was born in the southern suburbs of Tunis. He spent his childhood surrounded by sheep blocking the streets, and goat thieving flowers from gardens. Local wildlife quickly became an inexhaustible source of inspiration. Later, he studied illustration and comics in Brussels. After two publications: Elephant's Memory (published by Les éditions du Pépin) and The story of the day and night (published by Lo Pais d'enfance), he turned to the enigmatic world of computers and the Internet. In 2009, he became one of the co-founders of Epic, a Belgian creative agency specializing in the creation of digital content and where he is now in charge of design and flash development. For Babel, he uses the various skills acquired throughout his career. He creates a fascinating and educational story which will entertain the younger children and captivate the older.
" 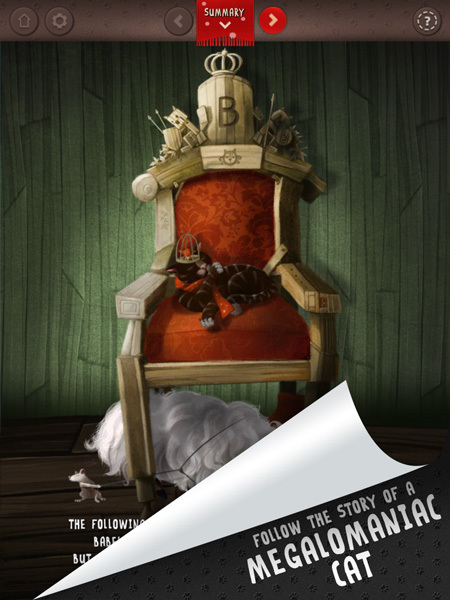 This is a story imagined for the ‘new children’, those who are born with the new technologies, with the Internet, the iPad. A wonder of colors, texts, characters… With a timeless aspect since Babel is based on the criteria of a tale of yesteryear, with enough poetry and values, that always speaks to the soul of little children! It is a success! (And I am proud to have been asked to correct the French text!) Good luck, Jacques Mercier. " 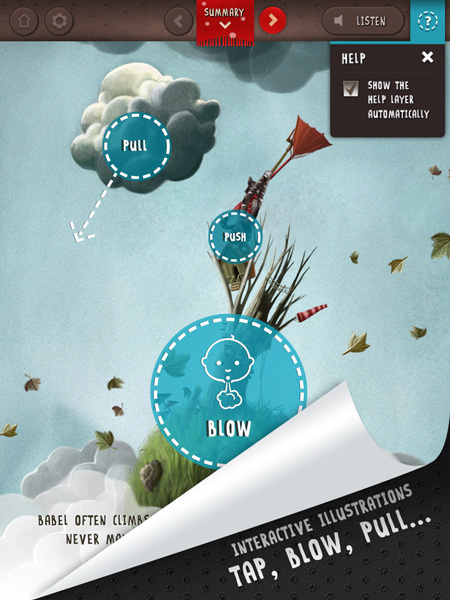 "This beautifully illustrated title is one of the most unusual and enjoyable apps to come across my screen in a long time. This is an app that took my breath away"
"One of the great joys of the App Store at the moment is the way new apps can spring seemingly out of nowhere, fizzing with imagination and creativity. Babel, the King looks like one of those." "Join Babel, the Cat who would be King’ (and wouldn’t they all? ), in this delightful story designed for iOS & Android"